Independent & Group Laos Tours Packages in 2019/2020 from Travelbag. 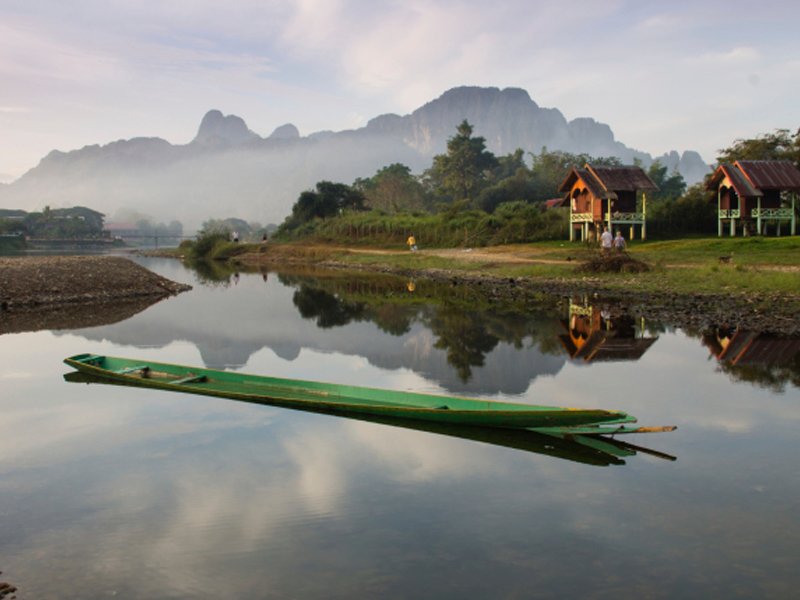 One of Asia best-kept secrets, the sleepy nation of Laos is steadily awakening from its slumber, ready to reveal a glorious abundance of attractions, from its charming cities, to its spectacular mountainous landscape, to its temptingly idyllic lifestyle. A nation that has avoided the limelight of its Southeast Asian neighbours, despite being surrounded by them, Laos is slowly earning a reputation for its laid-back atmosphere and rich cultural heritage, a fascinating blend that is attracting an increasing number of curious travellers keen to cover a path less travelled. The capital city of Vientiane perfectly represents this relaxed image, the beauty of its golden Pha That Luang, Arc de Triomphe-aping Patuxai (Victory Gate) and copious parks, complemented by the unhurried nature of the locals that enjoy nothing more than to share stories and interact with visitors. If Vientiane is Laos’ biggest city, then Luang Prabang is its most treasured, the former Royal capital exuding a distinctive blend of exotic charm and distinctive French colonial inspiration. With car-less streets and even an evening curfew, life takes place at the slower pace in Luang Prabang, and the experience is positively cathartic. 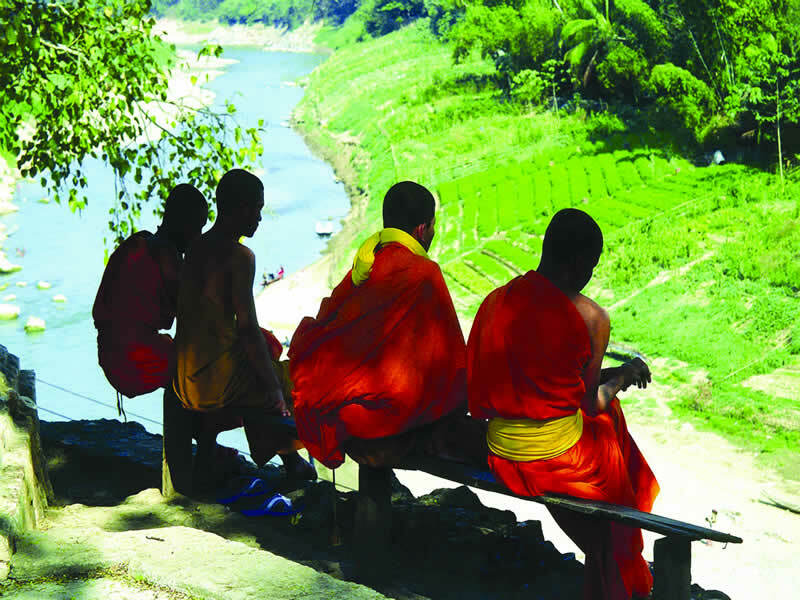 On a Travelbag tour, you will have the chance to explore ornate monasteries, witness the romantic ritual of monks collecting alms of rice from locals at dawn, learn how to cook using Lao ingredients and techniques, and take a dip in the stunning Keung Si travertine waterfalls. The Mekong River is Laos’ lifeline, the waters meandering their way alongside the border with Thailand, carving through spectacular – and otherwise inaccessible – mountainous scenery, dramatic gorges and past quaint riverside villages. 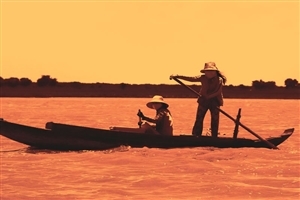 A slow boat cruise tour along the Mekong River with Travelbag is a perfect opportunity to explore the heartland of this largely untouched country, whether it is stopping at the Pak Ou Caves, filled with thousands of Buddhist statues, or simply witnessing rural life unfold in this strikingly beautiful corner of the world. Landlocked by the borders of China, Thailand, Cambodia and Vietnam, Laos is fairly easily accessed from any of these countries, making it ideal for those keen to experience this country on a multi-centre tour to include its neighbouring nations. 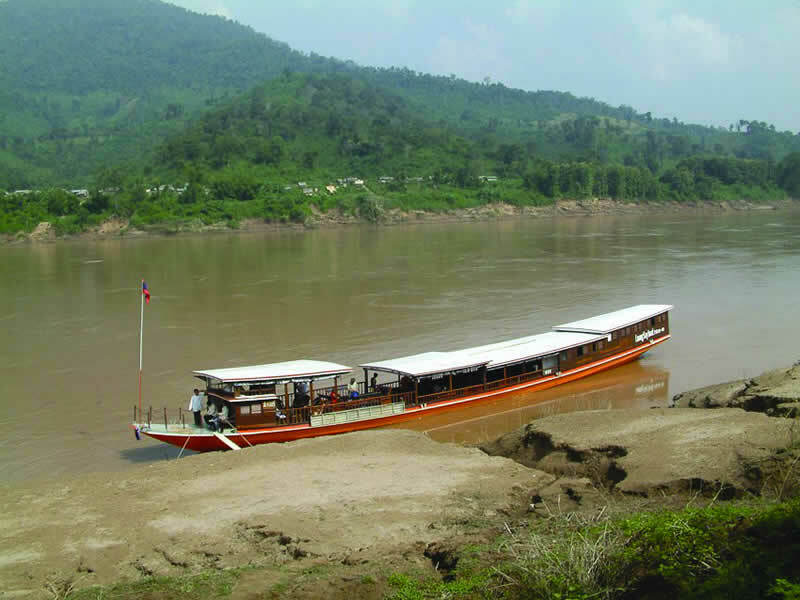 Enjoy the chance to take in some of the many sights along the Mekong River on a two day cruise that heads from Luang Prabang to Huay Xay, and includes an overnight stay in Pakbeng along the way. Discover amazing Laos on this six day adventure through a country where rich culture sits side-by-side with stunning surroundings, from the delights of the vibrant capital Vientiane to the spiritually important city of Luang Prabang and the stunning beauty of the Kuang Si Waterfall. A Travelbag tour of Laos is the ideal opportunity to cover a path less travelled, with our expert local guides ensuring you get the most from your Laos holiday adventure. 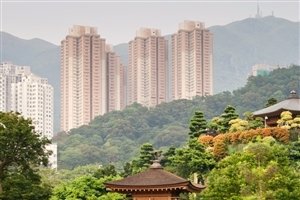 Perfect for those keen to see the world for themselves, our independent tours, multi-centre tours and escorted tours are designed to give you freedom, convenience and the chance to experience everything this rewarding country has to offer. Enjoy a fresh cup of coffee as you glance across the waters of the Mekong River in Vientiane. 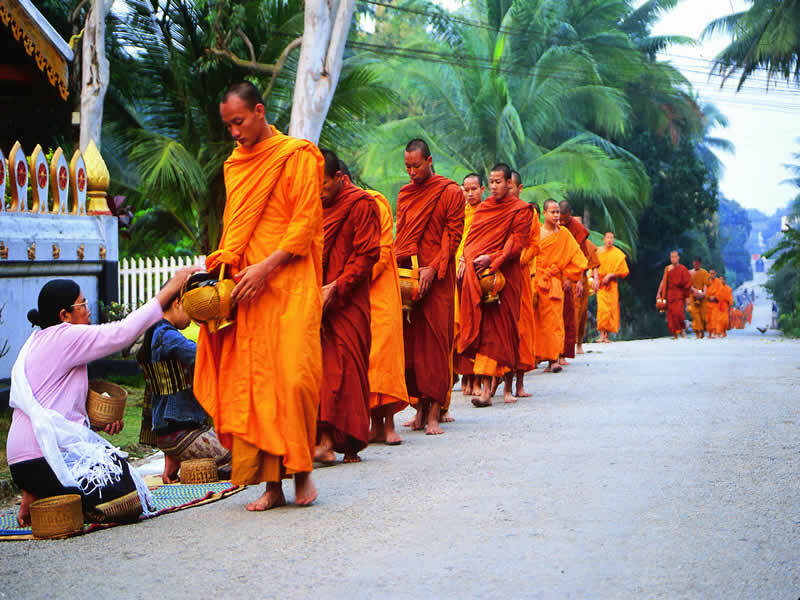 Admire the spiritual beauty of Luang Prabang’s gentile monks as they collect alms of rice from locals. 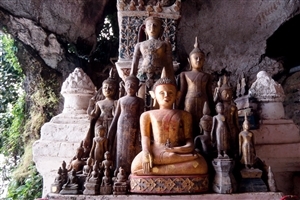 Come face-to-face with the intricate Buddhist statues of Pak Ou Cave. Laos has something for everyone. For more information about Travelbag’s excellent range of Laos tours, call 0203 944 2201 to chat with one of our knowledgeable travel experts about creating the perfect Laos holiday for you. 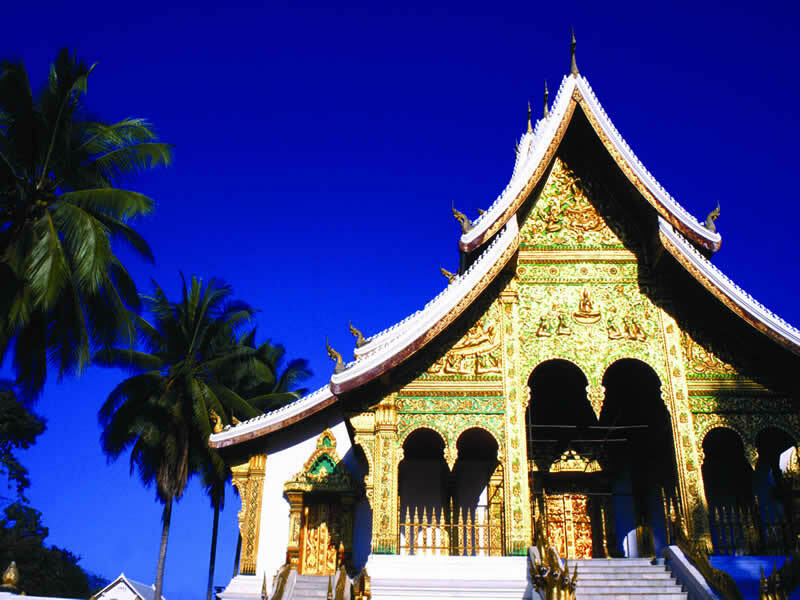 Find inner-peace in Luang Prabang - Stroll the leafy boulevards of UNESCO World Heritage town Luang Prabang, admire its temples and be enchanted by its peaceful atmosphere on a Travelbag tour. Explore a sleepy capital city - Take a Travelbag tour to explore Laos’ striking capital city Vientiane with its temples, stupas and statues, not to mention the pleasant French-colonial influences, from architecture to food. 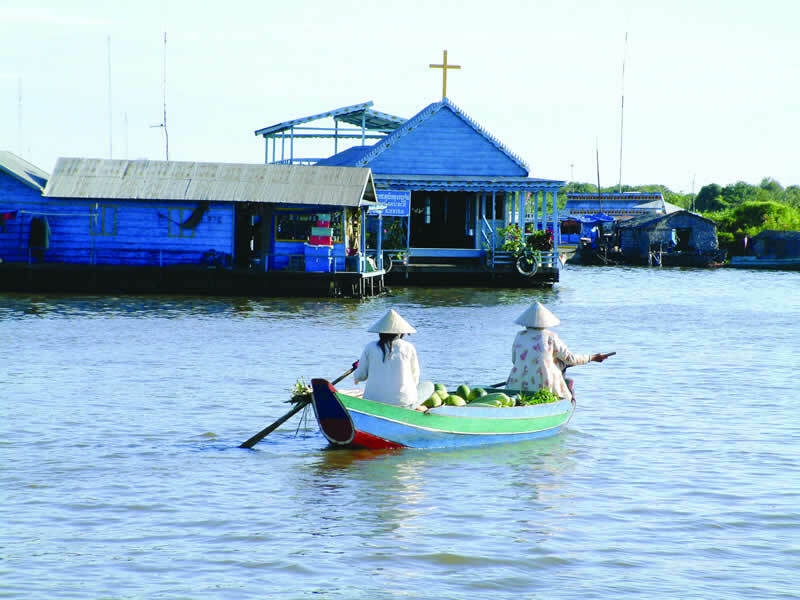 Float on a river of tranquillity - Float slowly through stunning gorges and past intriguing riverside villages on a gentle Travelbag tour cruise across the mighty Mekong River. Discover the mysterious Jars of Laos - Uncover the mysteries of the ‘Plain of Jars’, a rolling landscape scattered with unusual stone jars believed to date back to the Iron Age. Be enchanted by Luang Prabang monks - Watch the fascinating daily ritual of monks walking the Luang Prabang streets at dawn, collecting alms of rice from kneeling locals. Dive in, cool off - Go for a paddle in the beautiful Kuang Si Waterfalls to cool off from in the pleasant Laos climate. Come face-to-face with Buddha - Delve into the depths of the Pak Ou Caves and witness the thousands of Buddhist statues inside. Laos’ most treasured destination, a tour of Luang Prabang offers a hugely rewarding holiday experience with its romantic atmosphere, gorgeous scenery and spiritual attractions. 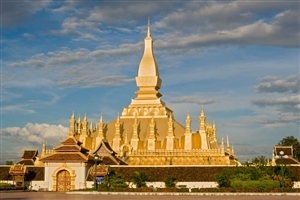 A Laos tour with Travelbag will see you explore the heart of this pretty city with its leafy boulevards and French colonial accents. One of the world’s longest rivers stretching all the way from China to Vietnam, the Mekong River flows across the border between Laos and Thailand, often through stunning untouched landscapes. With Travelbag, you have the opportunity to embark on an unforgettable cruise along the Mekong River aboard the Luang Say. The sleepy capital city of Vientiane encourages a calm method of exploration, where relaxing with a beer alongside the Mekong River is as encouraged as discovering its attractive cultural sites. A Vientiane tour will also give you the chance to visit temples and learn how to create fine silk.